Reserve this weekend and get your 5% deposit paid. For full dimensions click on the brochure link below. 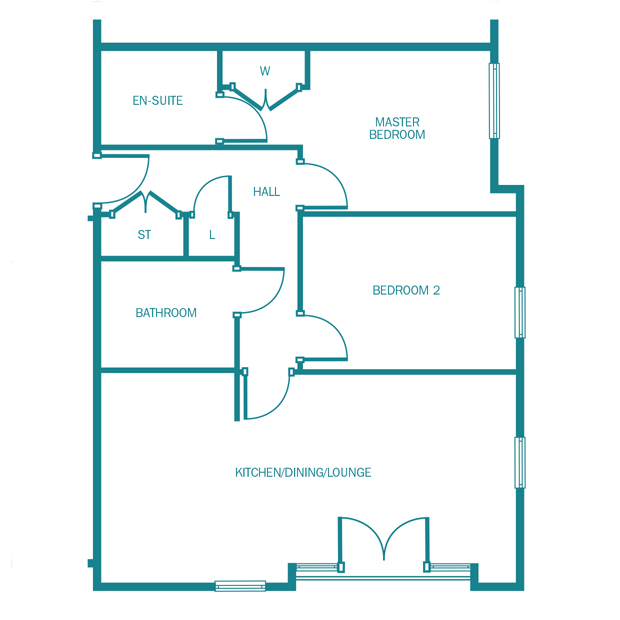 The Kingston is a stunning 2 bedroom apartment. Featuring kitchen/living/diner, master bedroom with en-suite and fitted wardrobe & further bedroom. Manor Kingsway is an exceptional development featuring 2 bedroom apartments and 2,3 & 4 bedroom homes which has won the coveted What House award along with the Green Apple award. It's easy to see why as the development has been superbly landscaped with a mix of beautiful boulevards, avenues and public open spaces. There is also a distinct variety of homes that create interesting vistas and street scenes. Inside our beautiful homes we have redefined interiors by harmonising the use of space with our inclusive specification. Part Exchange and Help To Buy are also available with as little as a 5% deposit. Our 2 bedroom apartments offer a striking contemporary aesthetic and feature an impressive specification as standard. 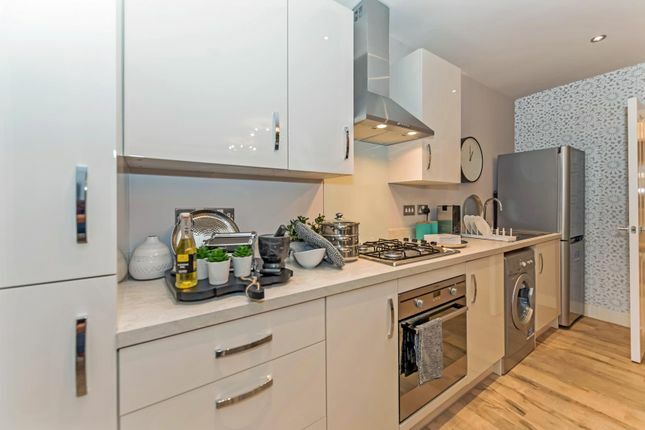 Carpets and Karndean flooring, chrome switches and sockets, an array of kitchen appliances, nicely proportioned rooms, en-suite to the master bedroom and fitted wardrobe, these apartments are ready for you. The Government's Help To Buy scheme is also available with as little as a 5% deposit. Property descriptions and related information displayed on this page, with the exclusion of Running Costs data, are marketing materials provided by Kier Living - Manor Kingsway, and do not constitute property particulars. Please contact Kier Living - Manor Kingsway for full details and further information. The Running Costs data displayed on this page are provided by SmartNewHomes to give an indication of potential running costs based on various data sources. SmartNewHomes does not warrant or accept any responsibility for the accuracy or completeness of the property descriptions, related information or Running Costs data provided here.